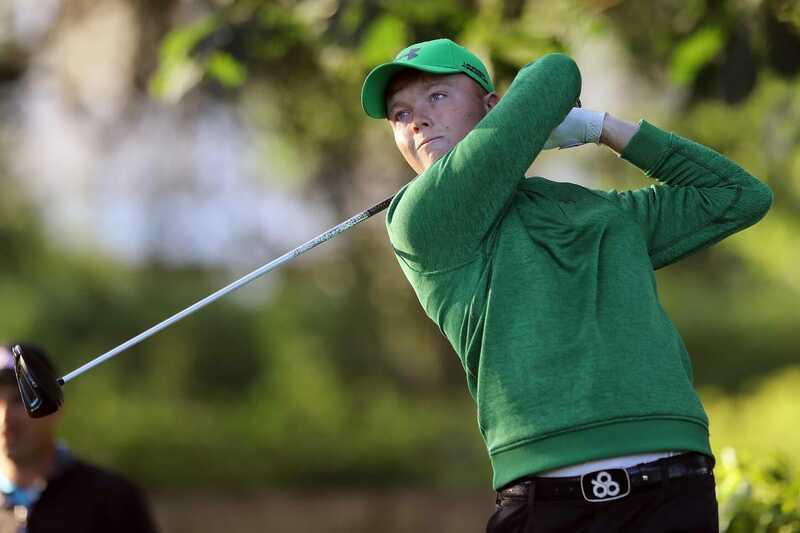 After two rounds at the European Amateur Championships at Royal Hague Golf & Country Club (Netherlands), Conor Purcell (Portmarnock), Robin Dawson (Tramore) and Rowan Lester (Hermitage) are Ireland’s leading players. The Irish contingent at the event also includes Alex Gleeson (Castle), Tiarnan McLarnon (Massereene), Mark Power (Kilkenny) and Jonathan Yates (Naas) where the top 60 players & ties will progress after tomorrow’s third round. Purcell, Dawson and Lester are all in T19th place on one under par, five shots off the lead held by Blake Windred (The Australian) with Purcell having the best Irish round of the day with a 69 while Dawson had a 72 and Lester a 73. Alex Gleeson followed up his opening 70 with a second round 76 which saw him drop down the leaderboard and he is now in T51 place on two over par while Mark Power went the opposite direction as he returned a second round 70 to add to his opening 79 and is now in T83. One shot further back is Jonathan Yates who is six over after a 73, 77 haul and he has plenty to do to make the cut as he’s in T97.